We meet new people and make friends with them. To keep the conversation going with these people we will have to save their contacts so that we can message or call them. Furthermore, we also store our friends' contacts and business numbers on our iPhone. So when your iPhone is damaged or the screen is broken, you will not be able to enter a passcode and access these contacts. To solve this issue you need to use one iPhone data recovery software that can get contacts from broken iPhone. One of the recommended software in this article is iMyfone D-Back iPhone data recovery. There are a lot of iPhone recovery software on the market and one of the highly recommended tools is iMyfone D-Back Data recovery tool. Now let us look its main features and you will know more about it. It can recover Text messages, iMessages, Call history, Contacts, Photos, App Photos, Video, App videos, WhatsApp Messages, WhatsApp attachments, Skype History, WeChat History, Kik, and Kik Attachment. 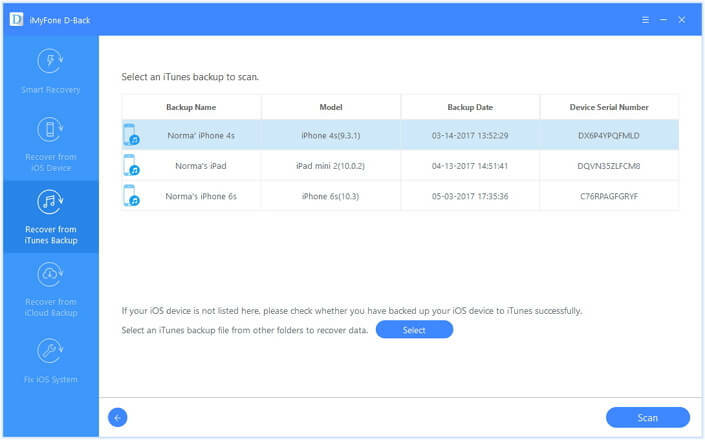 Four modes: Smart Recovery, directly from iOS, from iTunes Backup file and from iCloud backup file to ensure users can operate the program even they have no clue at all. It is supports different data loss scenarios which include virus attack, unintentional deletion, broken device, jailbreak failure, upgrade issues, factory reset or iDevice locked due to forgotten password. 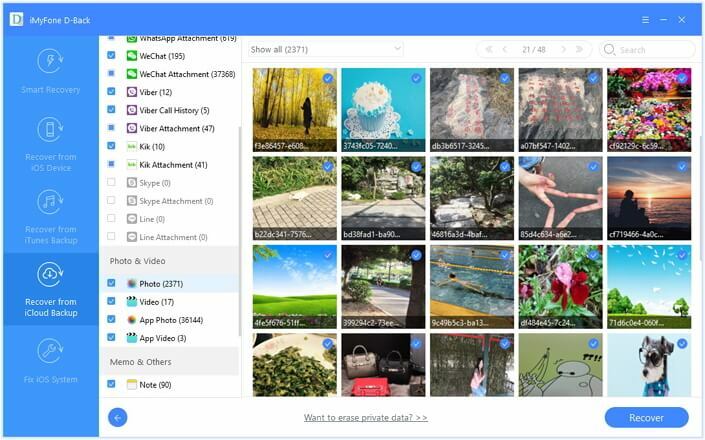 It allows you to selectively recover and preview data files like images and videos, contacts, read notes and messages. It supports iPhone SE, iPhone 6 series, iPhone 5 series iPhone 4 series, iPad series, and iPod Touch just to mention a few. Its recovery comprises of three simple steps: scan, preview and then recover. It can run on Mac and Windows both. All iOS versions including iOS 12 are supported. Here is a quick guide that you can follow after installing iMyfone D-Back software on your computer. It will show you how to retrieve contacts from broken iPhone, from iTunes backup file and from iCloud backup file. Step 1 Choose contacts to scan. For "Recover from iOS" should be connected to the computer. From there, select the data type to scan, which is "contacts", and then click on "Next" button. Step 2 Preview and Select Contacts. The scanned contacts will be displayed on program. View them one by one and check the desired ones that you wish to retrieve. At the bottom of the window, click on "Recover" and choose where to store these recovered contacts. To be successful with this method you should have sync your iPhone to iTunes. Step 1 Choose an iTunes backup to scan. When you open the program select "Recover from iTunes" You will then have to select one iTunes backup file. And then click "Scan" icon. Under Messages & call logs you will find the scanned contacts. Click on it to view the contacts that have been found. You will then be able to check them for restoration. When you have marked all the contacts click on "recover" and select a folder to store them. 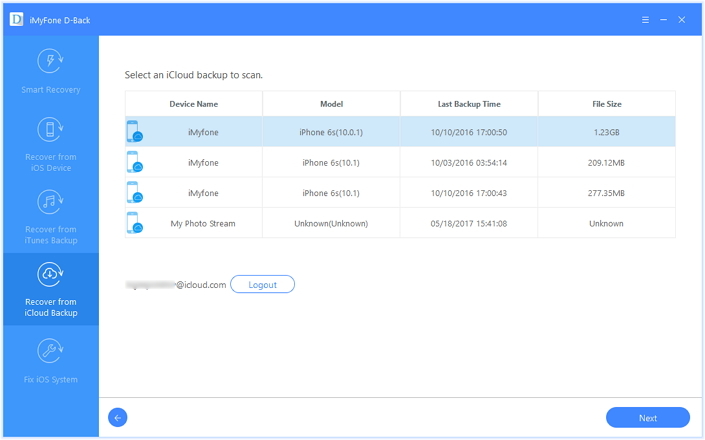 If you had done a back up of files on iCloud earlier, then you will be able to retrieve them. Step 1 Download an iCloud backup to scan. First select "Recover from iCloud backup". Thereafter, log in to iCloud account, and select backup file that contains your contacts. Click on "Next" button and then download it. 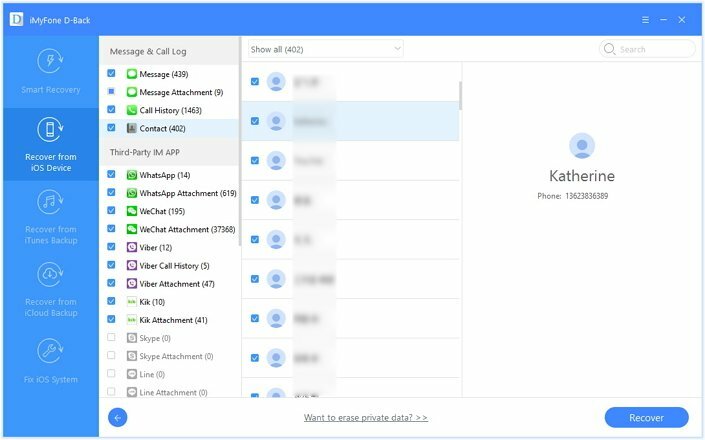 After scanning process is complete, all the retrieved contacts will be displayed on the program window under Message & call history. Next, view them to mark the needed ones. When you have selected the contacts, click on "Recover" button. You will be prompted to identify a location to store these contacts. Do so and wait until the process is complete. 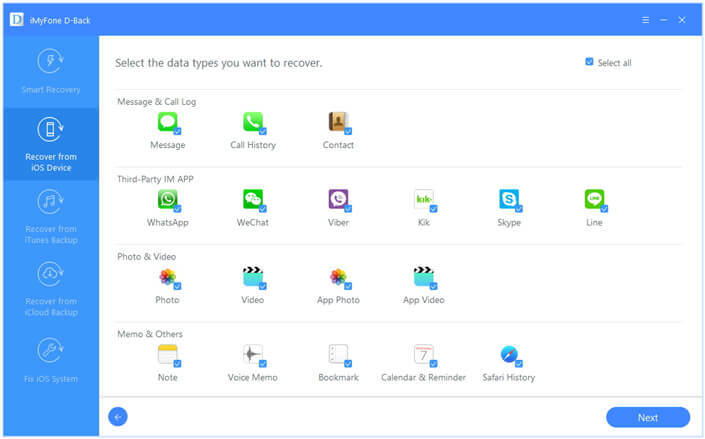 Now, you see that iMyfone D-Back iPhone data recovery iPhone data recovery for Mac (compatible with iOS 12) is the one top software to recover contacts from broken iPhone. It is secure and simple to use. And now, the free trial version is available to download and why don't you have a try?